Chelsea are extremely lucky to be coming away from the Czech Republic with an advantage over Slavia Prague, the Blues weren’t at the races and snatched a win thanks to Marcos Alonso. The Blues looked extremely underwhelming this evening and Slavia Prague should be proud of their performance, the side who are often labelled as ‘not even the best side from Prague’ – showed great character tonight. The side demonstrated good pressing and aggression, which certainly threw Chelsea’s heavily rotated side off their gameplan. 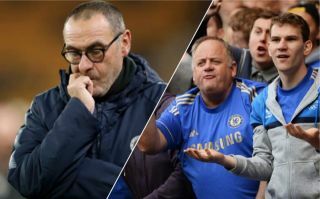 Heading into the second-leg, Slavia have earned Chelsea’s respect and the Blues can’t treat them as pushover – that was nearly their downfall today. Take a look at the goal here. It looks as though Chelsea are struggling to maintain a certain intensity and Sarri-ball seems to be too possession based, the slow tempo and style of play often sees the Blues let games pass them by far too easily. 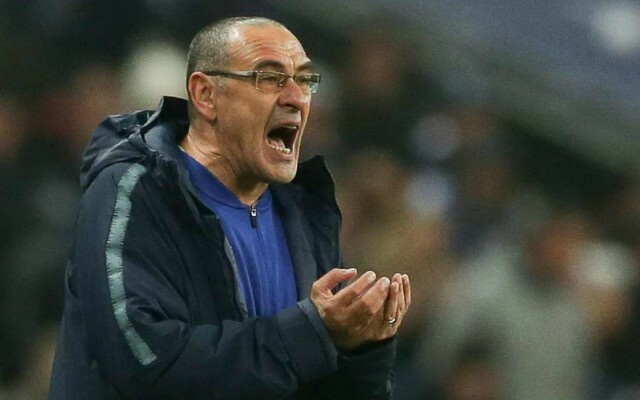 Sarri needs to demand more from his entire squad, at this stage of the season every single player should be running their socks off and putting their all into anything. The Blues need to show more passion and desire. – We won, but still an average performance. – No one stood at all, just glad we got the result and got out of there. – So dependent we’ve become on Hazard it is embarrassing. – Even though we have a lead, I still want the best XI to start the 2nd leg. Shocking but a wins a win. should we play like this against Liverpool, they will have us for a roast. I wish we could play footie like this Slavia team. They are good. One of the most Average games of Football i’ve watched from us in a long long time…@Slavia_Praga_BR probably deserved at least a Draw tonight, they were amazing! And so many poor decisions & sloppy mistakes! Not good enough. Looked jaded but a win is a win no matter how scrappy. Can’t play like that on Sunday. ?? The Blues certainly need to come out of the blocks much quicker against Liverpool on Sunday afternoon, Sarri’s side will be ripped apart if they start the game like they did today.